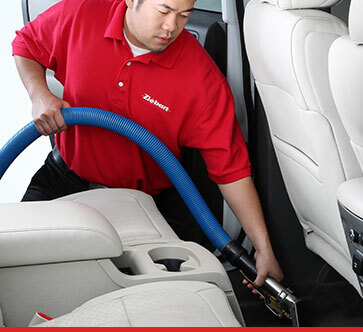 Ziebart’s anti-bacterial interior detailing process is designed to provide a healthier environment for you and your family while extending the longevity of your vehicle’s interior. When you walk out of the dealership and get behind the wheel for the first time, an amazing feeling comes over you. As you settle into your new vehicle, a deep connection is created; this vehicle has become an extension of you. Then life happens. From months of being on-the-go, to the "oops" and "uh-ohs" of your little ones, to the bits and pieces of nature that get tracked in, we've seen it, we understand it. Enter Ziebart Interior Detailing. Our interior detailing work not only restores the shine and beauty of your vehicle's surfaces, it reignites that initial connection you experienced with your vehicle and gives you a restored driving experience. While every driving experience is unique, Ziebart's interior detailing offerings have an answer for everyone. Contact one of our franchises today for more information on any of these effective vehicle solutions.